With the NFL offseason looming, teams are trying to figure out who they are willing to allocate their money to. Some players will be surprisingly cut, largely due to the money they are expected to make in 2019. The NFL is a business first and foremost, so if organizations feel that they can get better value at a position on the open market, then they will pursue that plan. Here are the top cap casualties for every NFL team. 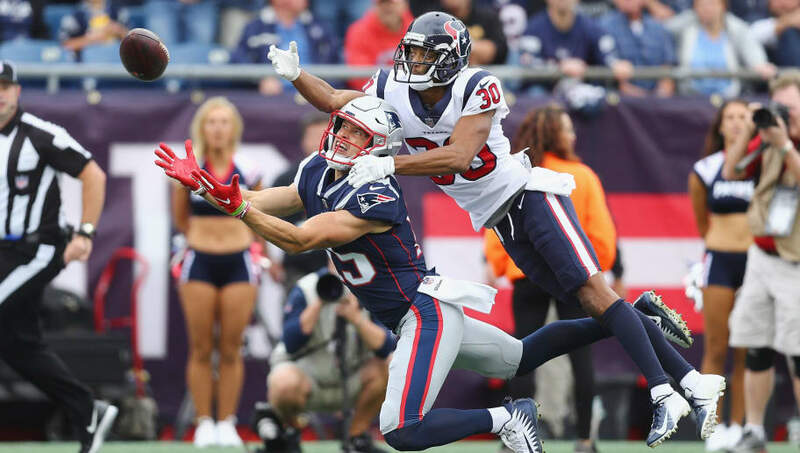 The Patriots' star safety suggested he may retire should he win a Super Bowl alongside brother Jason McCourty. 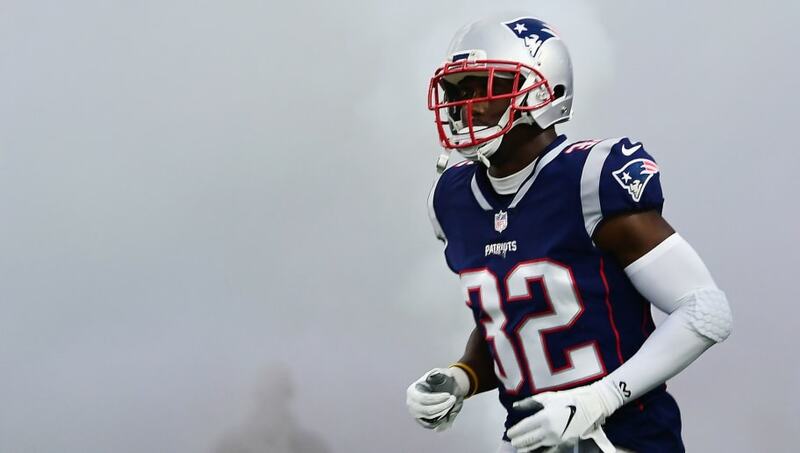 That goal came true on Sunday, so there's a chance that McCourty will be hanging up the boots. The Patriots could save $9.5 million if they part ways with the 31-year-old, as he will be making $13.5 million in 2019 while carrying a $4 million dead cap hit. While he's still productive, it wouldn't be surprising if the Patriots try to restructure his deal, or outright cut him. McCoy was abysmal in 2018 as he dealt with various injuries and rushed to the tune of 3.2 yards per carry. The Bills running back carries a cap hit of $9.05 million with a dead cap hit of $2.625 million. If Buffalo decides to move on from the 30-year-old, they could save $6.4 million in cap room and pursue other options for their backfield. 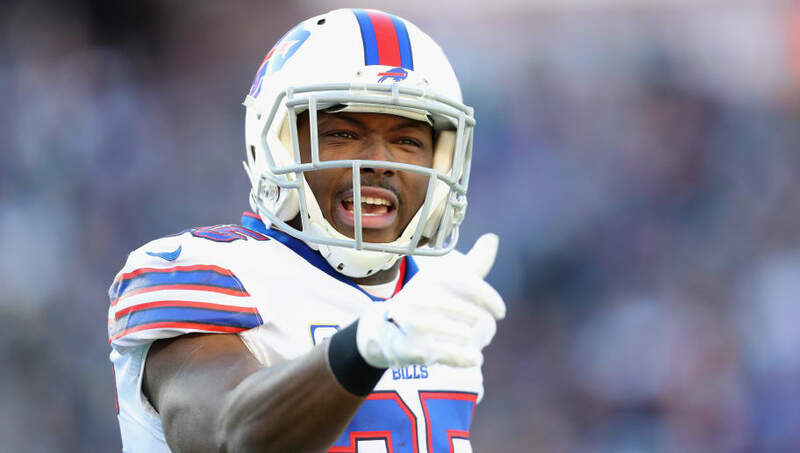 McCoy is no longer the elite running back he was in recent years and is dealing with some troubling legal issues at the moment. The Dolphins have made it clear that they are not committed to Ryan Tannehill going forward. The oft-injured quarterback is carrying a $26.6 million cap hit into 2019 and has a dead cap cost of $13.4 million. Miami is considering picking a quarterback in the NFL Draft and if they do, offloading Tannehill could save them a lot of cap space. 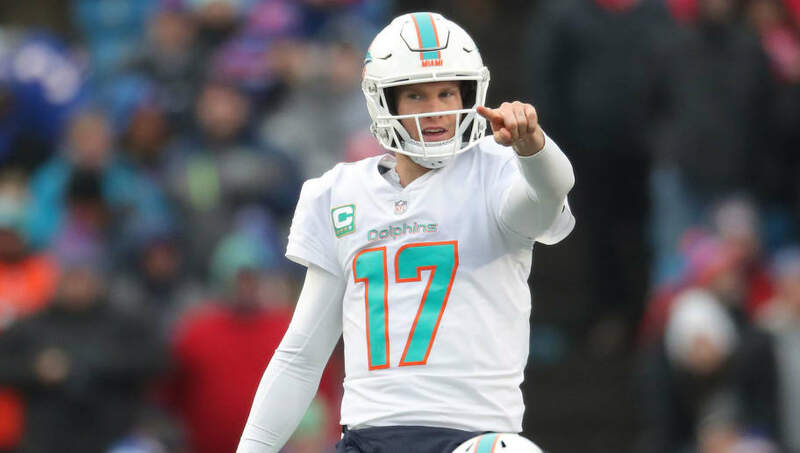 They currently rank among the bottom of the league in available cap space, so cutting or trading Tannehill could be the best financial option for the team. The Jets are the team with the most cap space heading into 2019 free agency so they won't be required to make any big cuts. One player who could be on the way out is running back Isaiah Crowell, though. Crowell represents a $5 million cap hit in 2019, carrying a dead cap hit of $2 million. 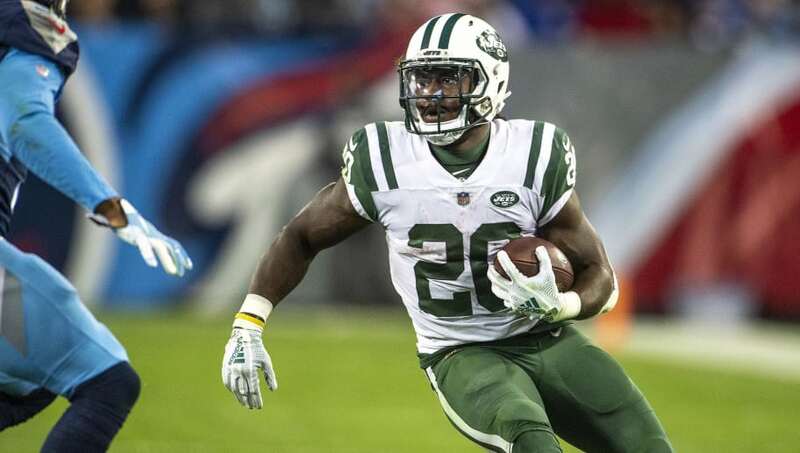 With Elijah McGuire also in the backfield, the Jets may consider saving that $3 million and parting ways with Crowell. If they opt to wait an extra year, he will only carry a $1 million dead cap hit, and will be a free agent after the 2020 season. 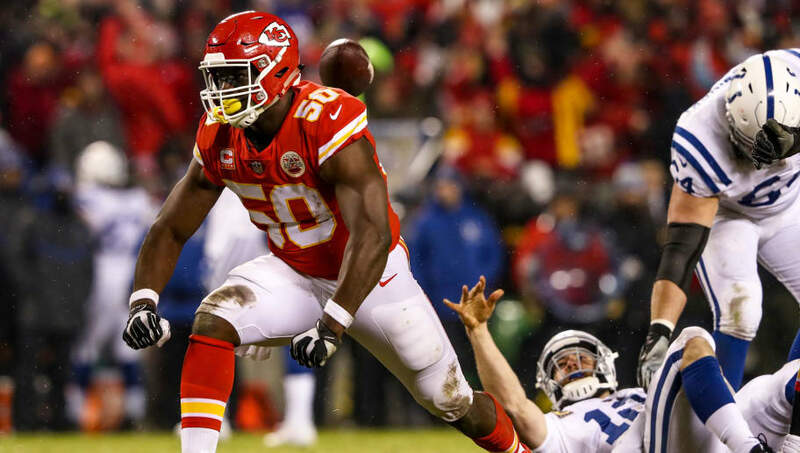 Justin Houston is by no means a bad player, but is he worth the $21.1 million cap hit for the Chiefs to take on in 2019? That's a difficult question. By cutting Houston, the Chiefs would take on a $7.1 million cap hit but ultimately save $14 million, which could free them up make some other big moves. Still, Houston is hardly the type of player to be cut outright from the roster, so perhaps the team will attempt to restructure his current deal. 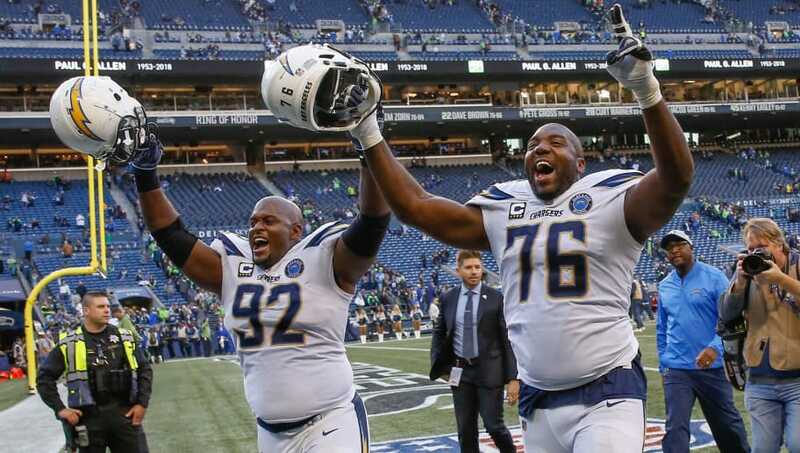 Russell Okung is going to cost the Chargers a lot of money to retain this year, and it's hard to justify paying him $15.968 million at 31 years old. Instead, the Chargers could save almost $11 million as the left tackle carries $5 million in dead cap. Okung could also be kept on board for one more season, as he carries just a $2.5 million dead cap hit next season, while making $16 million. LA could find a much younger offensive lineman with the money they could save on Okung. 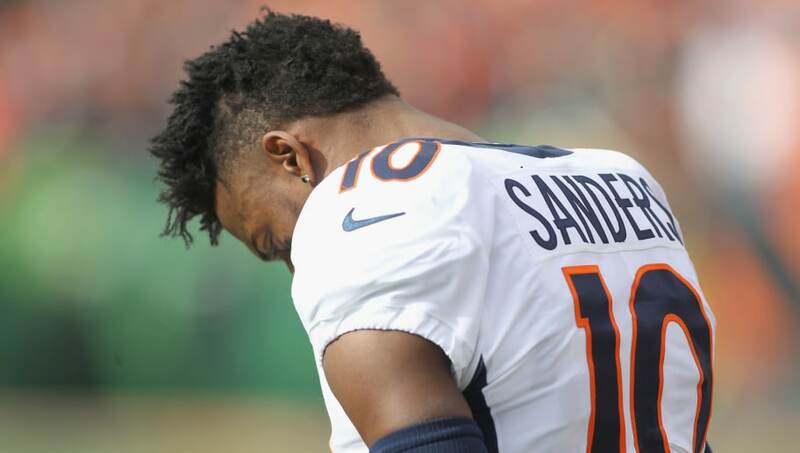 Sanders' 2018 season was cut short after he injured his Achilles at practice during the back-end of the regular season. At 31 years old, Sanders' health may be a concern going forward, and the Broncos may opt to part ways with him to save some money. He carries a $12.937 million cap hit for the 2019 season, with a dead cap value of $2.687 million. Cutting Sanders could allow the team to save more than $10.3 million while also pledging their faith to Courtland Sutton as the team's WR1 of the future. 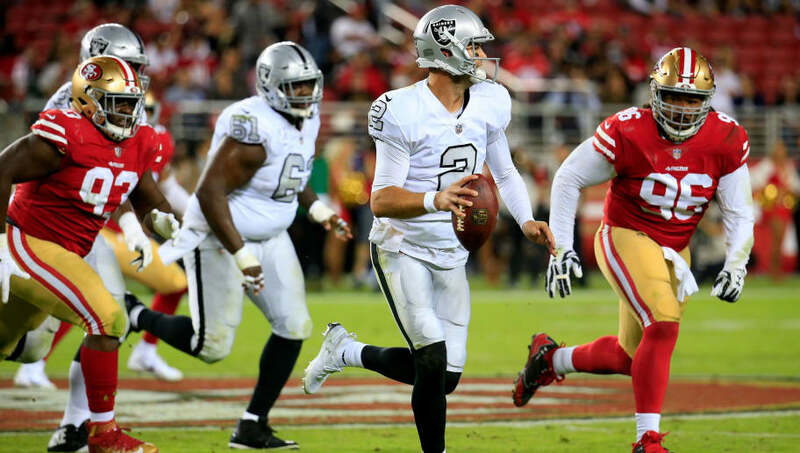 The Raiders are considering going after a quarterback this offseason, which would essentially cut deeper into the already limited role of A.J. McCarron, who has no dead cap value for the 2019 season but would represent a $5 million cap hit. For someone who is most likely not going to be part of the team's plans going forward, it'd be wise to cut him. Another solid option to cut could be offensive guard Kelechi Osemele who carries a $10 million cap hit without any dead cap space. 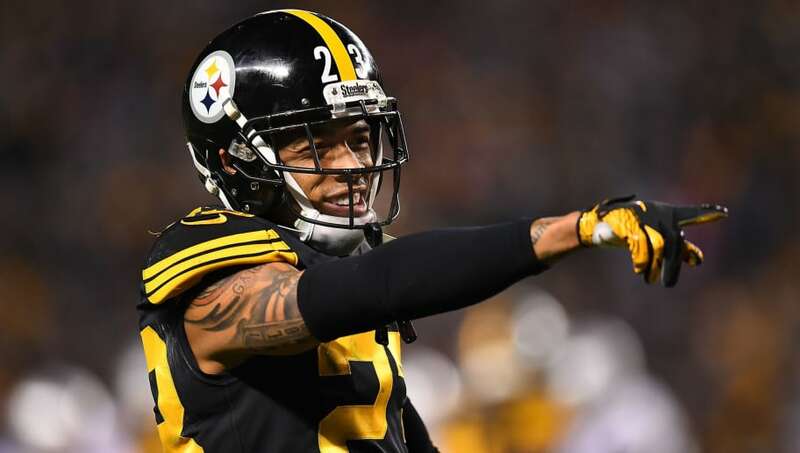 The Steelers could decide to cut Joe Haden if they're looking to save on some cap space, although I wouldn't consider this move to be extremely likely. Haden will be a free agent in 2020 and is set to make $11.916 million this year with a dead cap hit of $1.916 million. Cutting Haden could save the team $10 million. The Steelers aren't particularly deep in their secondary, so another top cap casualty option would be offensive lineman Marcus Gilbert, although it's been reported that Ben Roethlisberger wants him back next year. He would carry a dead cap hit of $1.728 million and a cap hit of $6.643 million, saving the team more than $4 million. 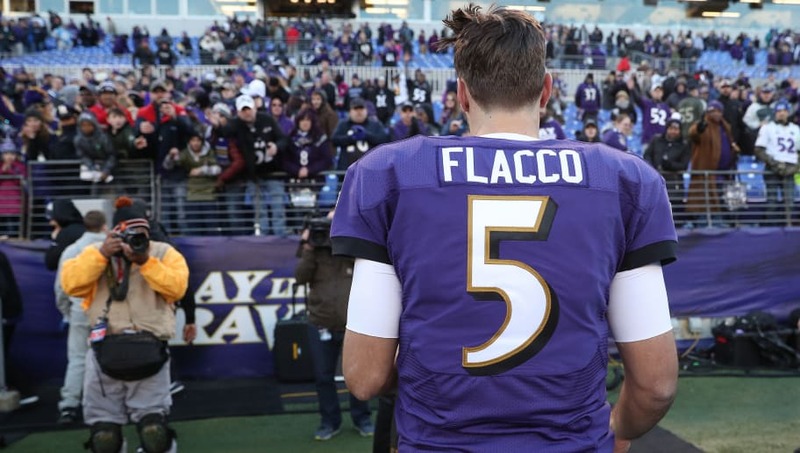 Joe Flacco's tenure in Baltimore is all but over as the veteran quarterback was moved to clipboard duty in favor of rookie Lamar Jackson. 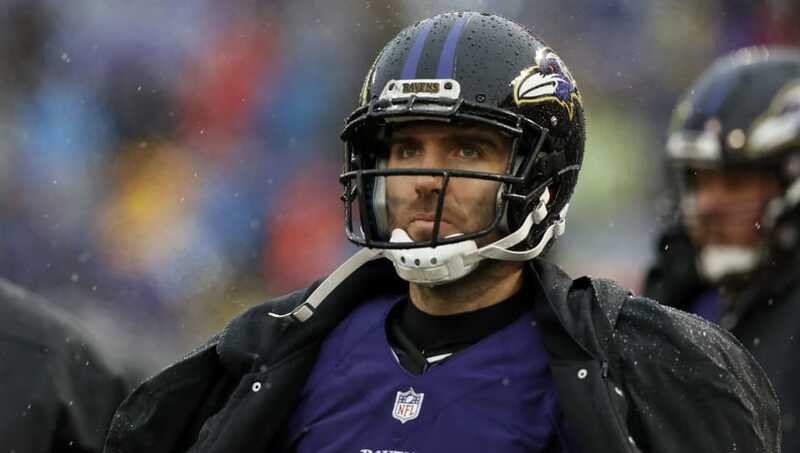 If the team doesn't find a trade partner for Flacco he may be cut. His 2019 cap hit is worth $26.5 million while his dead cap hit is $16 million. It may not be ideal for the Ravens to pay that, but can they afford to throw $26.5 million at a backup quarterback? Probably not. An alternative option would be to wait until 2020 when his cap hit will be $28.25 million and his dead cap hit just $8 million, which would allow the team to save more than $20 million in cap space. 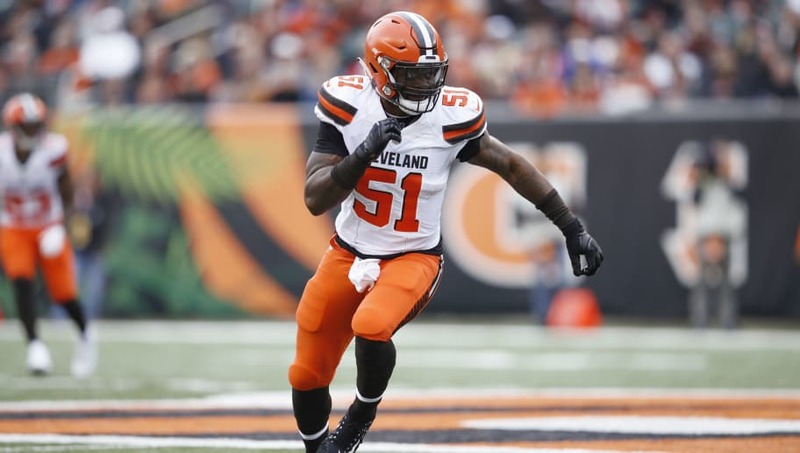 The Cleveland Browns have a ton of cap space to work with this offseason and they could add to their $75 million if they part ways with Jamie Collins. The outside linebacker carries a dead cap hit of $2.5 million and is due to earn $11.75 million. The Browns could save themselves $9.25 million if they move on from the 29-year-old. Collins had a strong season but he is older than most of the Browns' developing core and there have been questions about his work ethic in the past. I don't expect the Bengals to move on from Andy Dalton this offseason, but they could save a lot of money if they chose to do so. 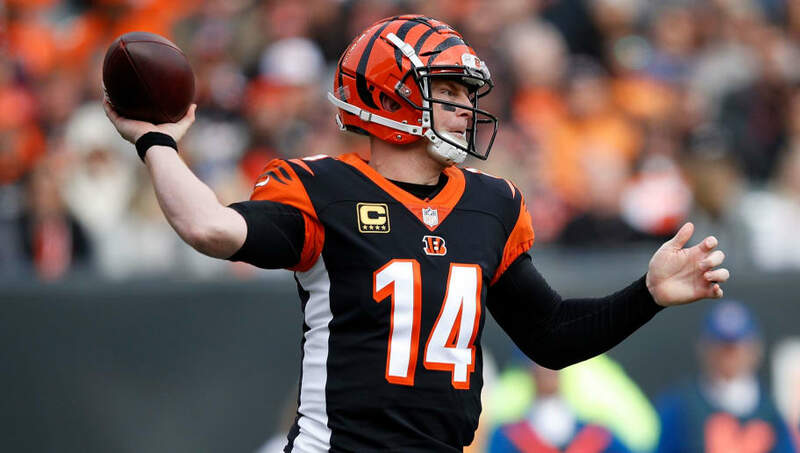 Dalton has no dead cap hit for 2019 and has a cap hit of $16 million, all of which would be saved by the team if they part ways with the 31-year-old. If the Bengals part ways with Dalton however, it's unclear if they would find a replacement-level quarterback for less than the $16 million they would save. Another option to cut would be Dre Kirkpatrick who has a dead cap value of $4.2 million compared to a cap hit of $10.953 million. It may be time for the Texans to part ways with Kevin Johnson as the 2015 first-round pick has not developed in the manner the team hoped. Despite being shallow at cornerback, Johnson is simply not worth the money for the Texans to retain him. He is set to take a cap hit of $9.069 million but has no dead cap hit which could encourage the team to move on from him and save the full amount. They could then go after a cornerback in free agency or the NFL Draft. 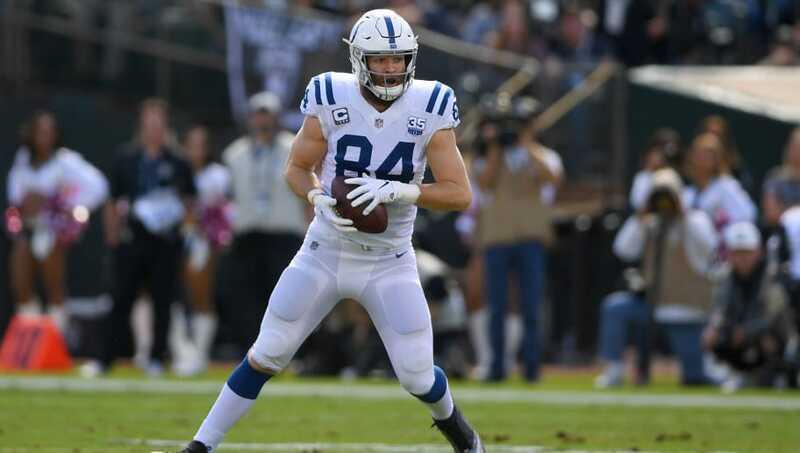 The Indianapolis Colts will be one of the biggest spenders this offseason and they could add a bit more money to the mix if they move on from Doyle. Eric Ebron has emerged as the clear-cut No. 1 option at tight end, so Doyle's $5.337 million cap hit could be better spent elsewhere. He doesn't carry a dead cap hit so all of that money would be saved by the team. Doyle spent most of 2018 sidelined with injury and that's an awful lot of money to pay to an oft-injured second-string tight end. 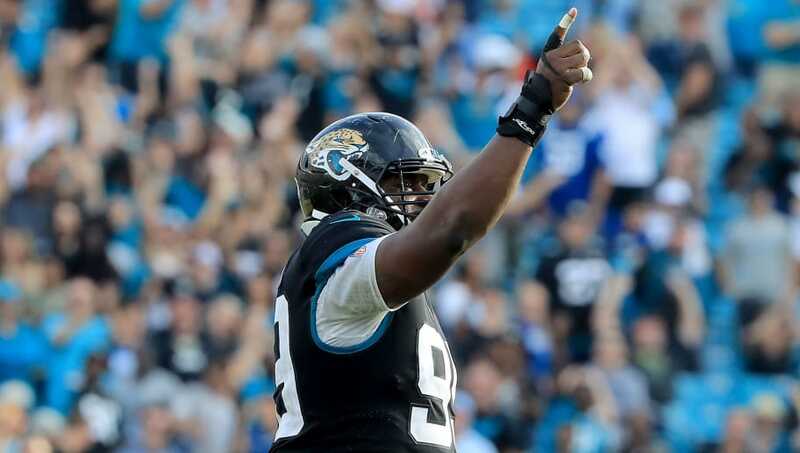 The Jaguars' Marcell Dareus experiment could come to an end this offseason as the team should seriously consider parting ways with the former Bills' defensive tackle. Dareus doesn't have a dead cap hit in 2019, but if on the roster will carry a cap hit of $10.585 million. The Jaguars have a lot to work on this offseason and that money could go a long way to adding depth on both sides of the ball. Ryan is playing on a contract that will expire after the 2019 season, so perhaps the Titans will choose to part ways with him a bit sooner than later. 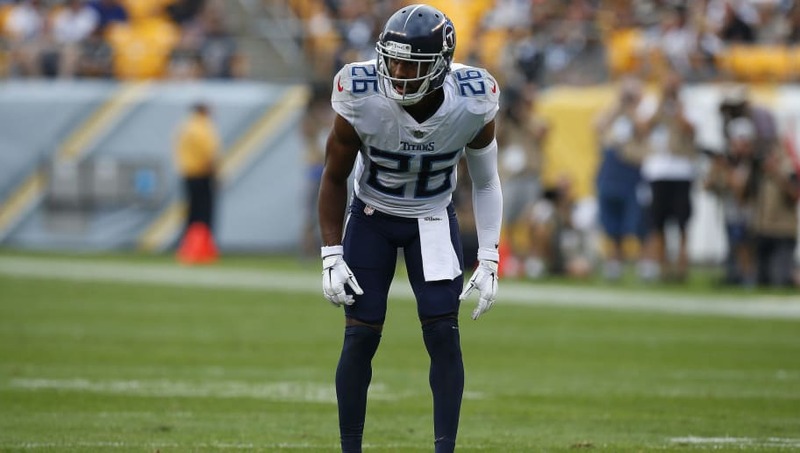 He is due for a cap hit of $10.666 million and has a dead cap value of just $666,668 so the Titans would save $10 million if they part ways with the veteran defensive back. Alternatively, another secondary member could be the one on the move. Jonathan Cyprien is coming off an injury and is due for a cap hit of $6.75 million, while he carries a dead cap value of $1.5 million. 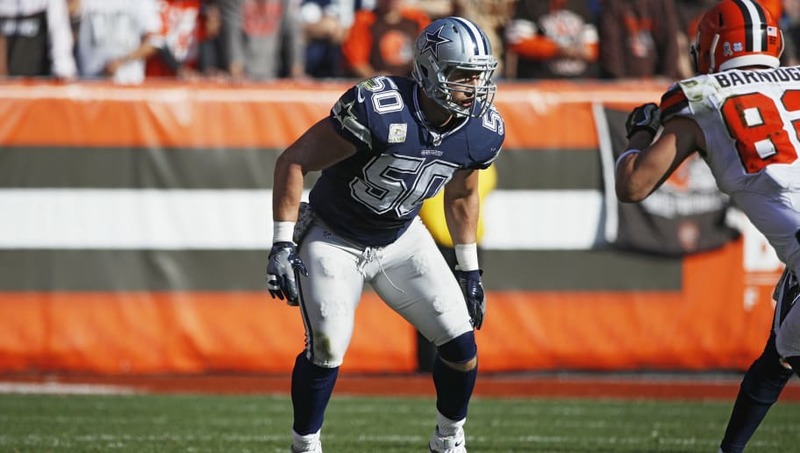 Sean Lee's future in the league remains unclear as the veteran linebacker will mull retirement this offseason. While he's been a Cowboy for his entire career, he could open up a lot of money for the team if he is cut. Lee is set for a cap hit of $10.075 million and carries a dead cap hit of $3.075 million, resulting in potential savings of $7 million for the Cowboys. With Leighton Vander Esch proving to be the future at the linebacker spot in Dallas, Lee could be on his way out. 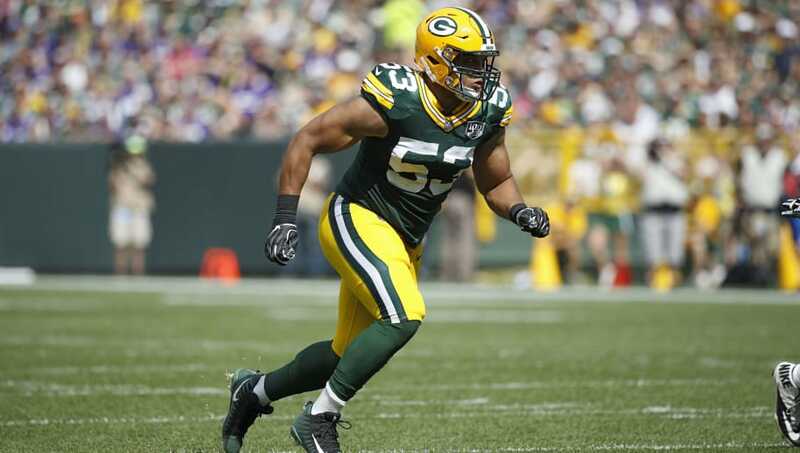 Vernon is making the big bucks in New York, but does the team want to commit $19.5 million to the defensive end in 2019? There's a chance they feel that money could be better spent elsewhere. He carries a dead cap hit of $8 million, which would open up $11.5 million in savings for the team if they decide to part ways with the 28-year-old. 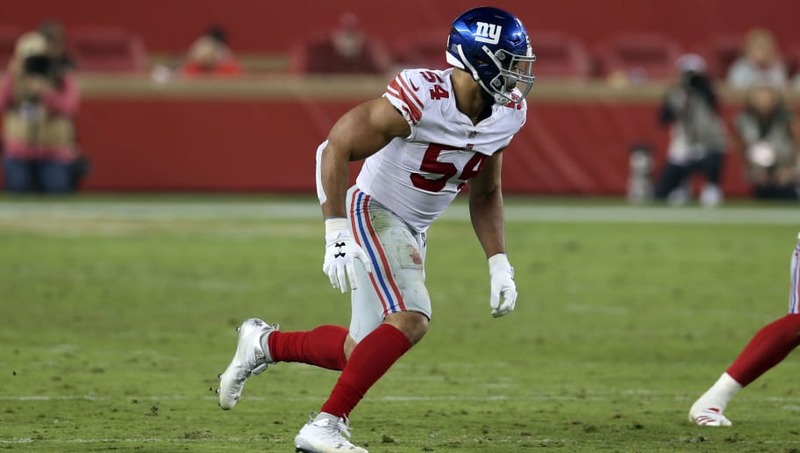 He is extremely talented, having been selected as a Pro Bowl replacement this season, but the Giants may want to address other areas on the roster with that money. 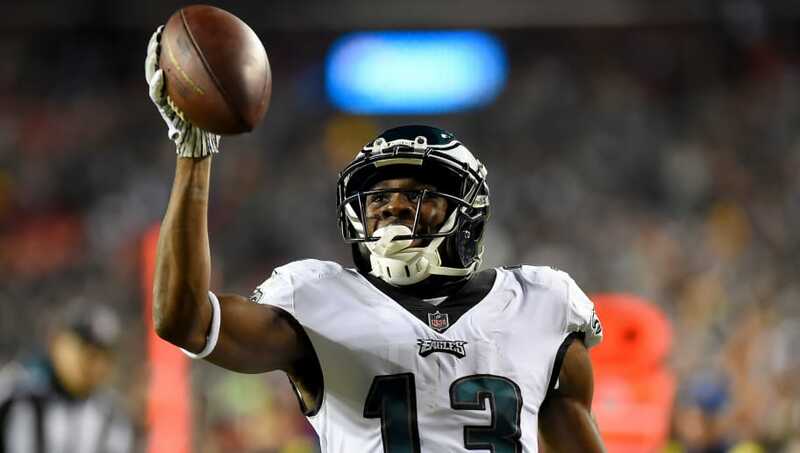 With Alshon Jeffery stepping in as the top wide receiver on the team, Agholor may fall out of favor in Philadelphia. The USC standout is due to earn $9.387 million and does not carry a dead cap hit for the 2019 season. While he is still a valuable member of the squad, that money could be spent in other areas of need and the Eagles could go after a younger wide receiver in free agency or via the draft. 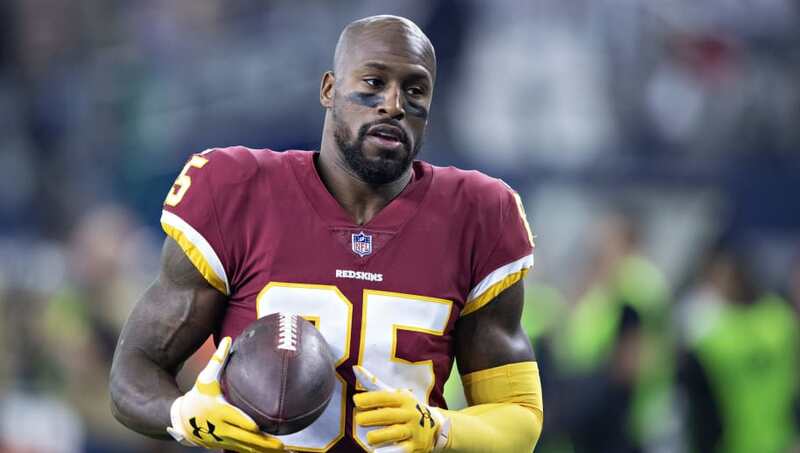 There are a couple of different directions the Redskins could go in terms of cutting players, but one they will likely move on from is veteran tight end Vernon Davis. 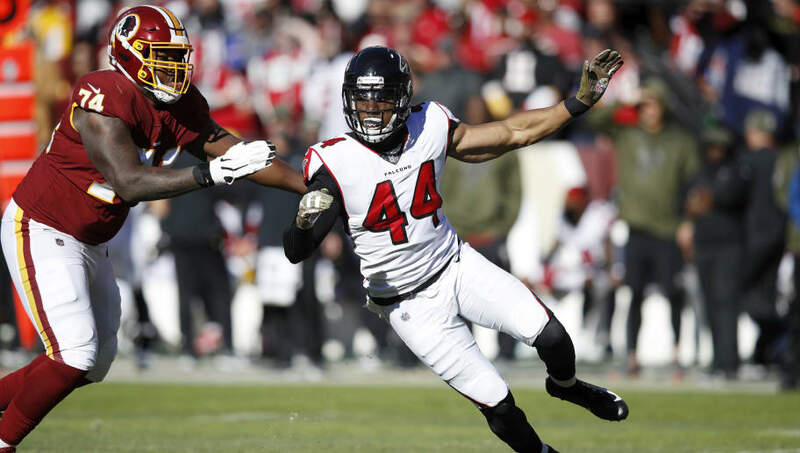 The 35-year-old carries a cap hit of $6.302 million alongside a dead cap value of $1.333 million, so the opportunity to save $5 million could be enough to persuade the Redskins to move on. Jordan Reed hasn't proven to be a viable option, however, as the oft-injured tight end has never played a full 16 games, so perhaps retaining Davis would be a smart move, but is he worth the money? The Los Angeles Rams will be hoping for a bounce back campaign in 2019 as they hope to return to the Super Bowl. They will have to make a decision regarding their secondary, and one player who faces the possibility of being cut is Aqib Talib. 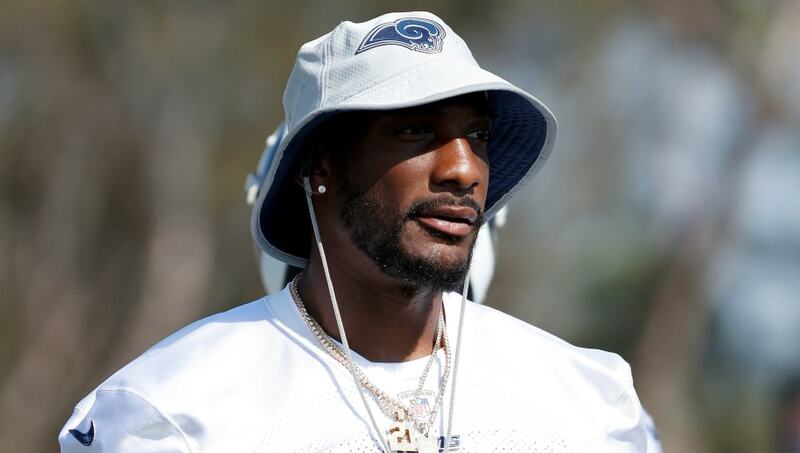 The veteran cornerback joined the team this past offseason and carries an $8 million cap hit for the 2019 season. He does not have any dead cap value so the Rams would be saving his entire salary by parting ways with him. He dealt with injury in 2018 and the Rams may opt to invest in healthier, younger options. 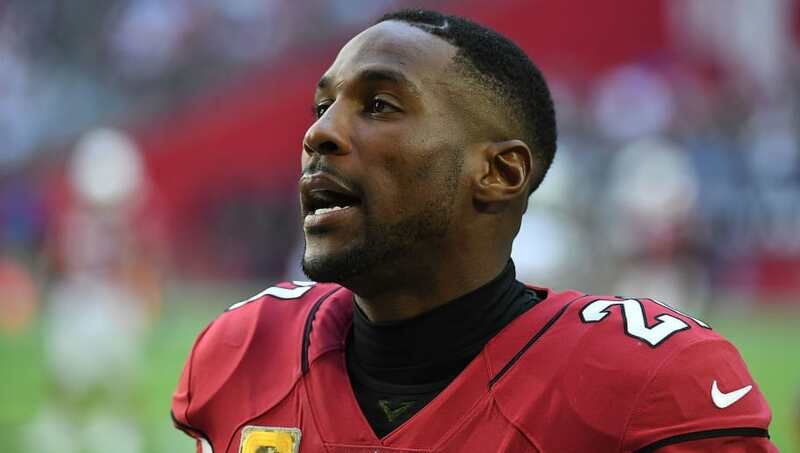 The Arizona Cardinals are letting Patrick Peterson's talents go to waste. The rebuilding process is necessary, but it may be wise to offload their most valuable player in order to save some money. Peterson has expressed his desire to leave the team after an abysmal 3-13 season, so the Cardinals would be granting his wish if they cut or trade him. Peterson would make $11.884 million this season but has a dead cap hit of just $1.269 million which would enable the team to recoup more than $10 million if they allow him to walk (or trade him). 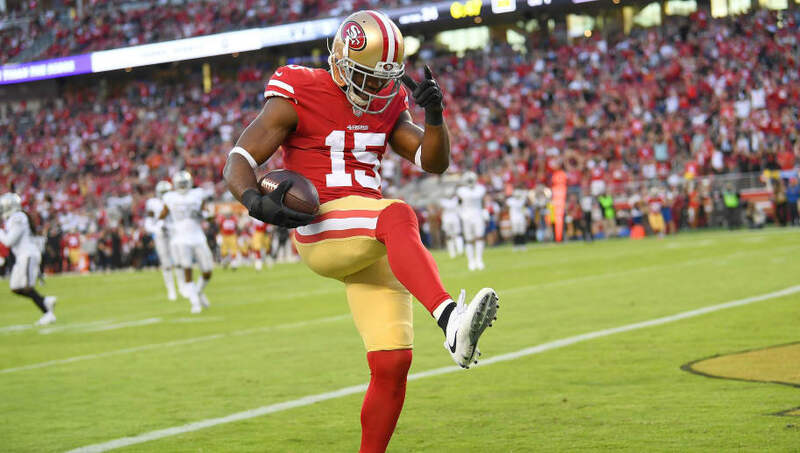 Pierre Garcon was never expected to return to the 49ers this offseason and the team would be wise to cut him, despite the dead cap hit he will represent. The 32-year-old will earn $8.275 million on the 49ers roster next year, and has a dead cap hit of $7.2 million. Despite the fact that this move would save the team just $1 million, Garcon is not a good fit for the growing 49ers team and still has a few years left on his contract. It may be best to just bite the bullet now and move on from the veteran wideout. The Seahawks may look to develop their young tight ends Will Dissly and Nick Vannett, which would make Dickson the odd man out. Dickson is due to earn $4.416 million this season and carries a cap hit of $1.733 million. It wouldn't be a lot of savings, but the Seahawks could walk away with more than $2.5 million to spend on other positions. 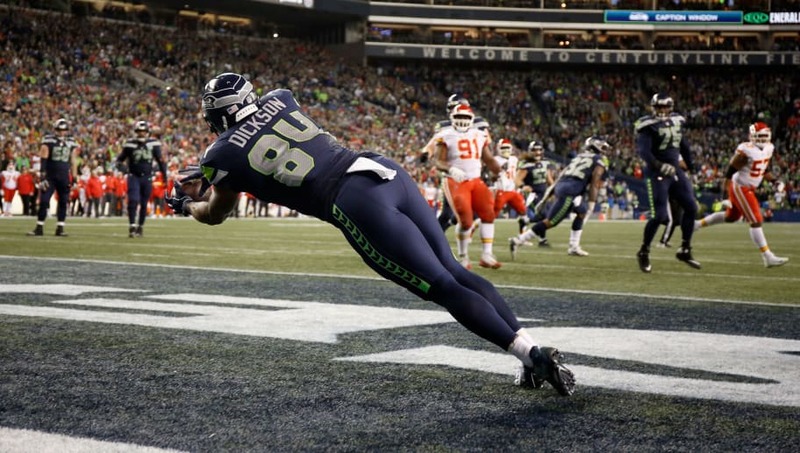 An alternative option for the Seahawks would be cutting wide receiver Jaron Brown, who is due to earn $3.725 million next season and carries a cap hit of $975,000. 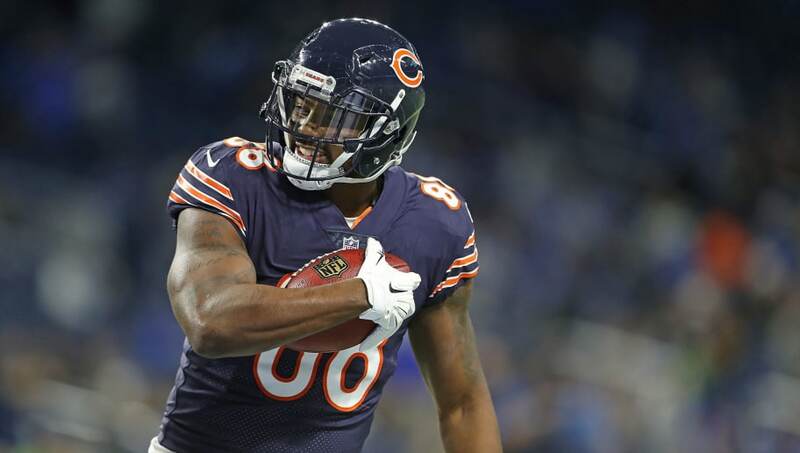 The Chicago Bears may part ways with tight end Dion Sims this offseason as Adam Shaheen has appeared to become a more prominent figure in the team's offense. Sims is due to earn $6.333 million in 2019 and carries a cap hit of just $333,334, which could save the Bears $6 million if they cut him. Sims appeared in just eight games in 2018 and caught two passes for nine yards, so the Bears wouldn't be missing too much in terms of offensive production. The Packers are expected to bring Jimmy Graham back next season so their next best cap casualty would be Nick Perry. The team signed Perry to a five-year, $59 million deal that hasn't panned out. Perry represents a $14.437 million cap hit in 2019 with a dead cap hit of $11.1 million. The team would be sacrificing a lot of money to get Perry off the books, but his production has been extremely disappointing since inking the contract. 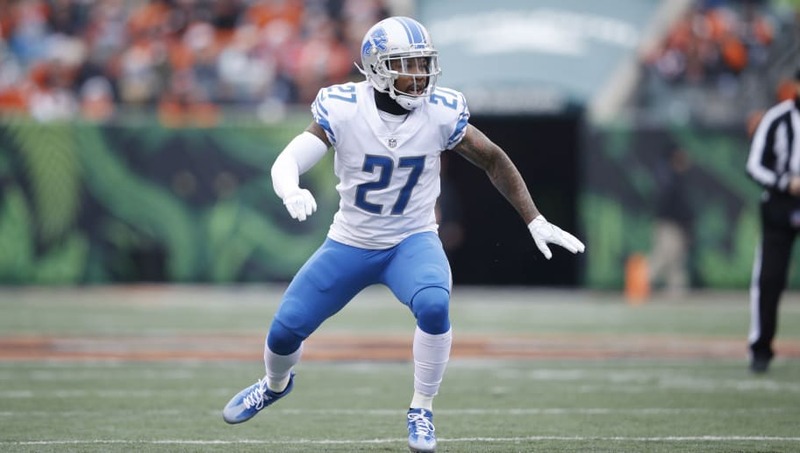 Glover Quin may not be suiting up with the Lions next season as the team may look to remove his contract from the books. Quin will represent a $7.916 million cap hit for the Lions while he has a dead cap hit of $1.666 million. The Lions could save more than $6 million by cutting Quin. Another player who could be on his way out is the oft-injured offensive lineman T.J. Lang. He will earn $11.51 million in 2019 with a dead cap hit of $2.666 million if he is cut. 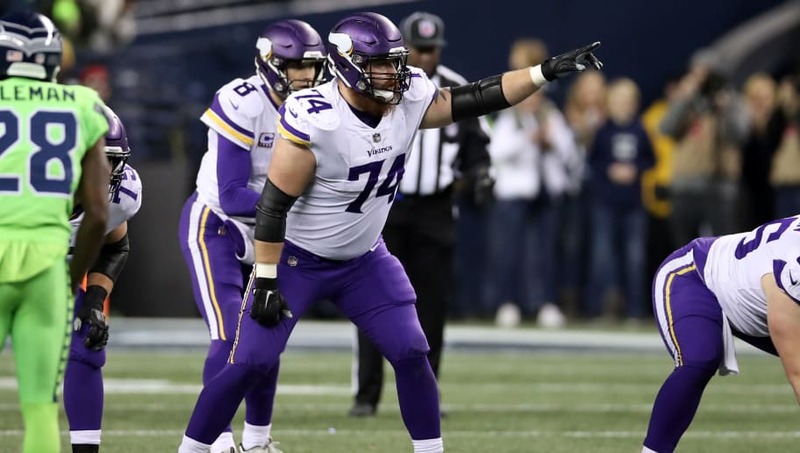 The Minnesota Vikings do not have a great offensive line, so cutting Remmers might be a perplexing move, but they could find his talent level for far cheaper than what he is set to earn. Remmers will be making $6.35 million in 2019 and carries a dead cap hit of $1.8 million. Addition by subtraction may be their best option here as Remmers is no longer the clear starter in either offensive tackle position. Other options could be either cornerback Trae Waynes or safety Andrew Sendejo, neither of whom have a dead cap hit for 2019 and will be making $9.069 million and $5.5 million respectively. 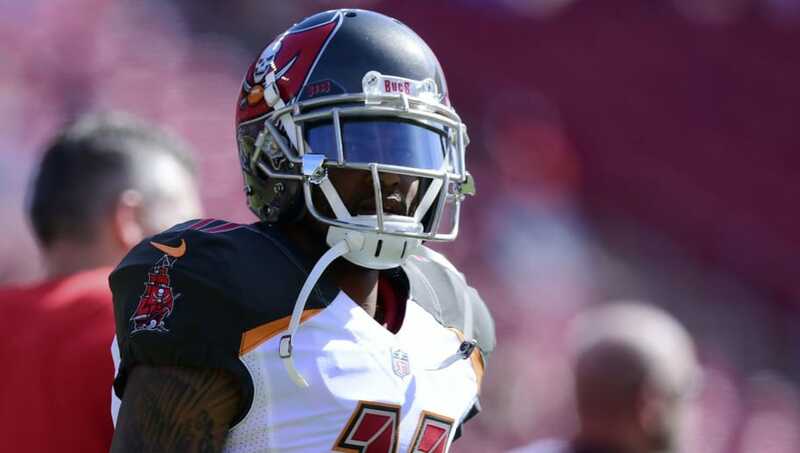 The Bucs have a lot of players they could part ways with, but the most glaring on the list is DeSean Jackson. The wide receiver doesn't carry a dead cap hit in 2019 and will be due to earn $10 million if on the roster. Cutting Jackson makes a lot of sense as he was far less productive with Jameis Winston than he was while catching passes from Ryan Fitzpatrick. Jackson also expressed his desire to be traded last season so it wouldn't be surprising to see the Bucs cut him loose. Vic Beasley is one of the highest earners on the Falcons' roster, for now. Beasley is set to make $12.81 million but doesn't carry any dead cap hit should the team decide to cut him. The former first-round pick had a shaky 2018 season, so perhaps the Falcons feel they could find similar value for less money on the open market. Dan Quinn just assumed defensive coordinator responsibilities in Atlanta, leaving Beasley's future in his hands. 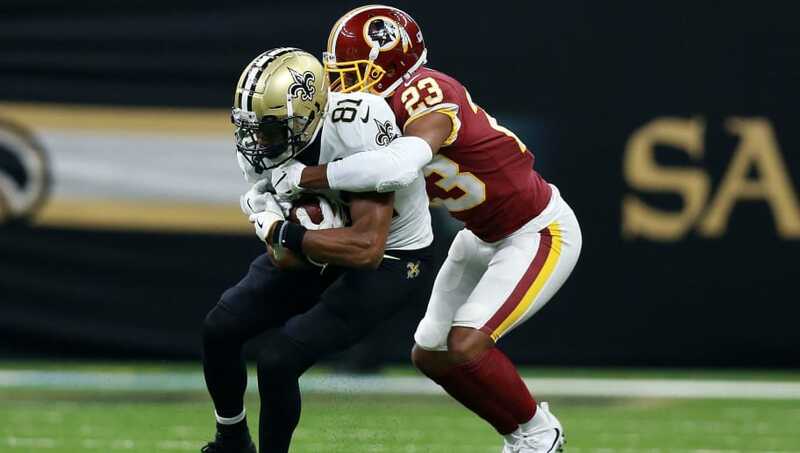 The Cameron Meredith experiment in New Orleans was not very successful as the wide receiver was placed on IR during the season while dealing with a knee injury. His injury history is probably going to dissuade the Saints from keeping him on board past this season. He's set to earn $6.456 million in 2019 and carries a dead cap hit $2.75 million. The Saints can afford to cut him whilst pursuing other veteran options at the position, hopefully for a lesser price. 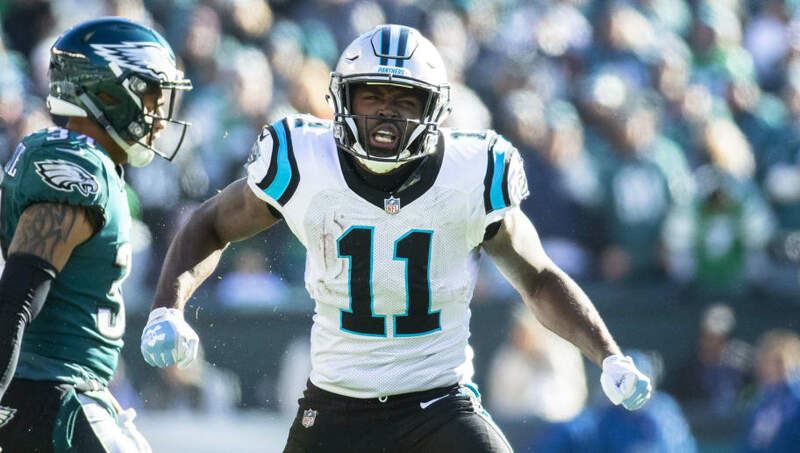 Torrey Smith has not been a factor for the Panthers and, as a result, the team will likely cut him this offseason. Smith has a cap hit of $5 million but has no dead cap value so the team would save big if it opts to not bring him back in 2019. The team will also be utilizing D.J. Moore more frequently next season, so Smith looks like the odd man out. Another option would be Matt Kalil, who has not proven to be a viable return on investment for the $55 million contract he signed in 2017. The issue with cutting Kalil, who missed all of last season with an injury, is that his dead cap hit ($14.7 million) outweighs his current earnings ($12.15 million).